WITCHERY’s line-up reads like the who’s who of Swedish Metal: Jensen (guitars) plays with The Haunted; solo-guitarist Rickard Rimfält for Séance; bass player Sharlee D’Angelo is in charge of the deep end of Arch Enemy and Spiritual Beggars; while drummer Martin Axe hits the skins of Opeth and Bloodbath. The upcoming album Witchkrieg, set for a June 29th North American release, features the debut of new vocalist Legion (ex-Marduk, ex-Devian) and an army of the best metal guitarists. The fretboard wizardry of Kerry King crowns “Witchkrieg,” the opener and title track. 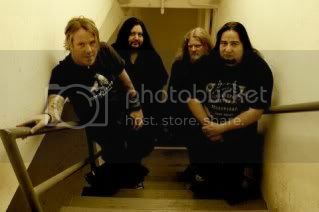 FEAR FACTORY – Announce More American Dates! BISON B.C. – “Dark Ages” Hits Canadian Charts! Canada’s own BISON B.C. 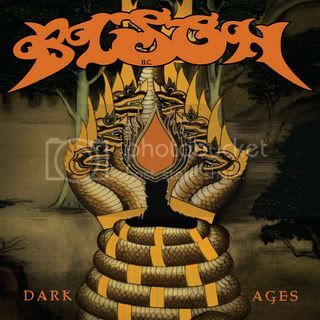 released their latest album with Metal Blade Records last week, Dark Ages. The critically acclaimed album received the highest charting numbers to date from Soundscan Canada, charting #144 on the Current Top 200, #21 on the Independent Chart and #21 on the Hard Chart! Dark Ages also charted on Billboard Heatseeker (New Artist Chart) @ #99 in the USA. 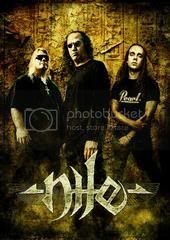 The reigning kings of technical, historically-themed brutality, NILE, will return to North America with their second tour in support of their new album Those Whom The Gods Detest. Joining them will be the ancient Roman themed arsenal EX DEO, Tazmanian tech-death masters PSYCROPTIC, Norwegian extreme metallers KEEP OF KALESSIN, and brutal death grinders PATHOLGY. 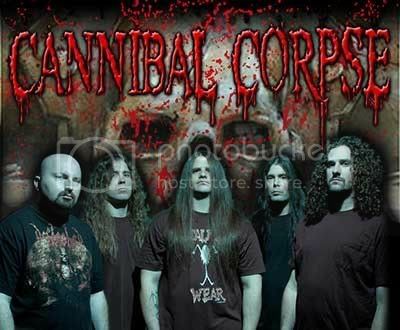 CANNIBAL CORPSE – To Film Shows For Live DVD! 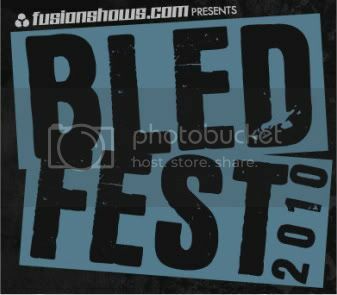 Long running American death metal act CANNIBAL CORPSE are slated to film two shows of their present “Evisceration Plague Tour” for a future live DVD release. 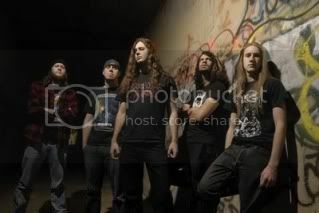 The shoot will be handled by director Denise Korycki, who also did the band’s “Centuries Of Torment” DVD. An official release date for the DVD has not been announced. There is no better way for Century Media Records to celebrate their 20th Anniversary in North America than by having the band that propelled them to success return home. 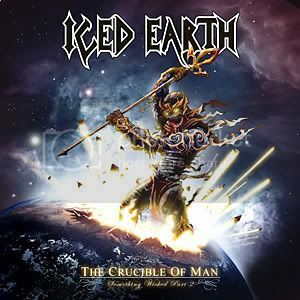 ICED EARTH, one of the most groundbreaking metal bands of all time is extremely excited to announce a return to their roots by partnering back up with Century Media. This new worldwide deal sees the band rejoin the label that released the legendary albums The Dark Saga and Something Wicked This Way Comes, as well as all of the early Iced Earth albums. In addition to Iced Earth, Century Media will also release Jon Schaffer’s Sons Of Liberty project. PRIMAL FEAR – New Live CD And DVD! German metal veterans PRIMAL FEAR completed the work on a brand new live DVD named “16.6- All Over The World” recorded in various locations between September and November 2009 and on a live CD aptly titled “Live in the USA”. Frontiers Records will release the two products separately and in a limited edition combo version on June 2nd in Europe and June 22nd in the USA. 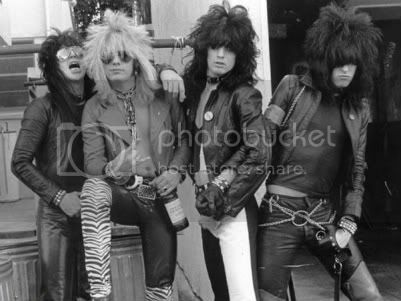 TMD turns the clock all the way back to MÖTLEY CRÜE’s earliest known gig at The Starwood Club in Hollywood, California on April 24, 1981… believe it or not: twenty nine years ago!